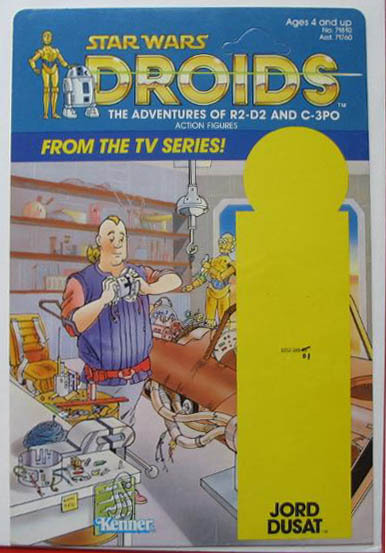 The packaging prototype shown above is a proof card for the Droids Jord Dusat action figure blister card. Droids proof cards remain amongst the most difficult of any proof cards for collectors to locate. For whatever reason very few Droids proofs have surfaced over the years. It's possible that few were saved by ex-Kenner employees or it may also be that more examples were save, but simply have not been unearthed to date.